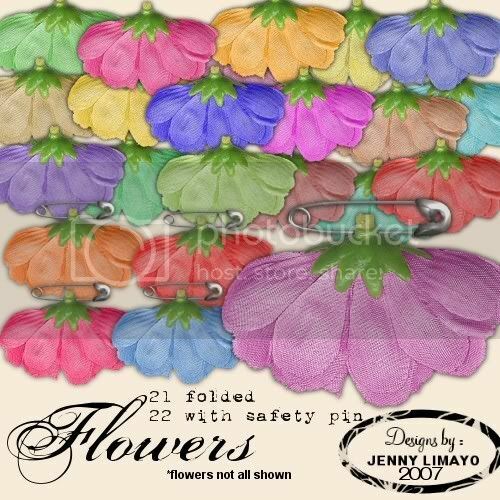 YES, finally my FOLDED FLOWERS are in the Scrapping Garden Store now. I have been neglecting to upload it but they are for sale now. As you can see i have made lots of different colors of these flowers so you can choose what color that will match your digital scrapping layouts. Credit: Thank you to Michelle Rodriguez (my co-designer)for the safety pin. You can purchase this flowers now at The Scrapping Garden, for only $2.85 good price huh? Thanks for your support. You can check out my other designs HERE.